Instead of traditional precious gemstones for jewelry making, shark teeth become the popular unconventional organic materials to use for the latest jewelry trend. This one-of-a-kind natural fossils come in varying sizes and shades. They make interesting and pretty jewelry to match great with your everyday outfit! 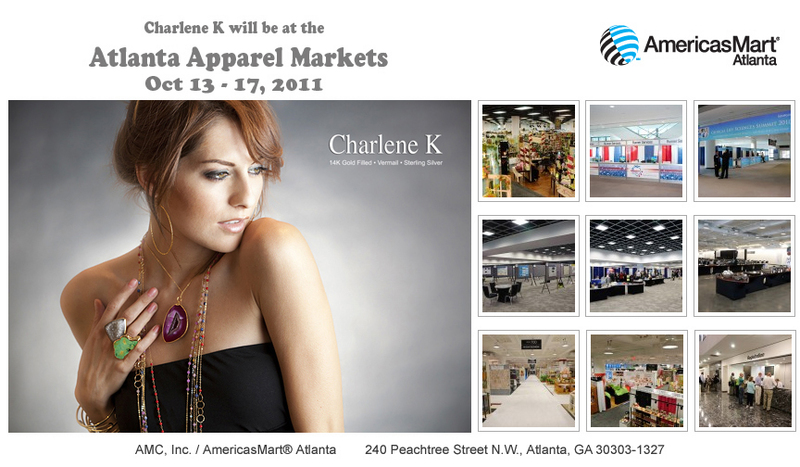 Please visit our Charlene K website to view our Shark Tooth Gold Pendant, Shark Tooth Bangle Bracelet and Rings! Shark teeth have long been known for their symbolic meaning of bravery, strength, power, and protection. Additional information: Shark Teeth aren’t hard to come by. Sharks have been around for 400 million years. While most of their body is cartilage and doesn’t fossilize, their teeth stick around. Sharks commonly lose teeth and replace them over their lifetime. It will take a lost tooth 10,000 years to become a fossil. Since these teeth are so easily collected and found, no sharks are harmed in the making of your shark tooth jewelry. You know the state fruit (peach), crop (peanut), and bird (brown thrasher), but what about our state fossil? Since the General Assembly approved their designation in 1976, these have been official Georgia symbols. We may have just 100 miles of coastline today, but roughly 65 million years ago during the Cretaceous period, South Georgia was largely underwater—and populated by prehistoric sharks. Staurolite is found in ancient crystalline rocks, which are abundant in North Georgia. The crystals, colloquially known as “fairy crosses” after their distinctive shape, are also prized as good luck charms. There are colorful quartz deposits throughout Georgia, including amethyst, popularly used in jewelry; smoky quartz; rose quartz (above); and clear quartz, which sparkles enough to resemble diamond when cut.